Life is a game in which you can't choose easy or hard because its always hard . Don't change the rules if you're not winning. Study the rules and get use to it until you beat the game. Don't play with someone's feelings, you may win the game but you will surely lose someone. 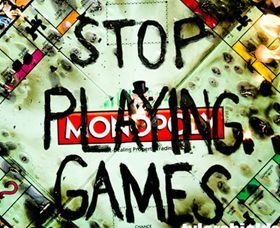 Life is but a game for the rich and a battle for the poor. Some ladies who play hard to get will eventually pray hard to get a husband. Needing someone to be there is like a game; once you have got what you want and you have won, you don't want to play anymore. Love is not a game, because when you opponent give up, you are not a winner!